Guy T. Avellon began his metallurgical engineering career at Republic Steel Research Center in the Metal Coatings Division working on Ion Vapor Deposition of aluminum onto steel. He later went on to develop a highly efficient electroless nickel production plating line for a division of Emerson Electric, then later developed non-cyanide plating processes for a chemical company which were used on fasteners. 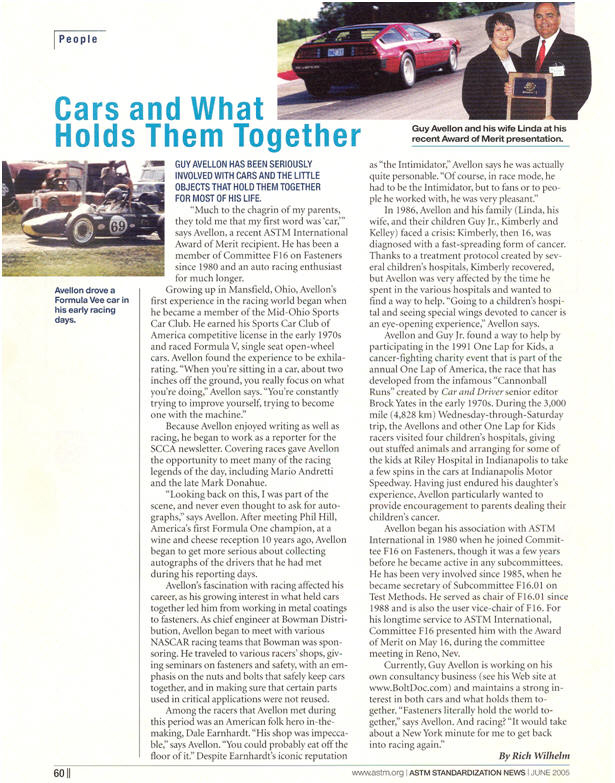 However, his real interest in fasteners began when he earned an SCCA (Sports Car Club of America) competition license to race open wheel Formula cars. Understanding what held everything together piqued a greater interest when sitting barely an inch off the ground at triple digit speeds. Guy became Chief Engineer for Bowman/Barnes Group in the late 70s and began traveling throughout North America visiting a variety of industrial companies and investigating fastener failures. Guy has presented hundreds of fastener safety lectures to NASCAR teams, Universities, major theme parks, Government agencies, safety associations, manufacturers and more, to promote fastener safety and use. “It isn’t enough to tell a client that his failed fastener meets all specifications, especially when it just caused thousands of dollars of downtime. You need to be able to tell them why it failed and how to prevent it from failing again.” Because of this and the fact that there are no educational courses that exist to cover actual fastener use, beyond theory, has inspired Guy to create the Fastener Safety Seminars and his book Fastener Essentials, from 40 years of metallurgical and mechanical engineering practices. 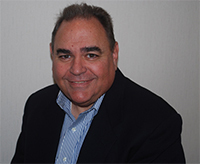 Guy began his own consulting company in 2003 and has become a nationally recognized expert in fastener engineering applications, failure analysis, quality systems evaluation and is an expert witness for product liability litigation. He was a Member of SAE (Society of Automotive Engineers) for over 30 years and currently serves as Chairman for the ASTM (American Society for Testing and Materials International) F16.01 Fastener Test Methods Committee since 1988. He has authored and co-authored several Standards and writes for several journals. Guy also served as Vice-Chairman of the ASTM F16 Main Fastener Committee from 2005-2013 and was awarded the ASTM International Award of Merit and Fellow in 2005.